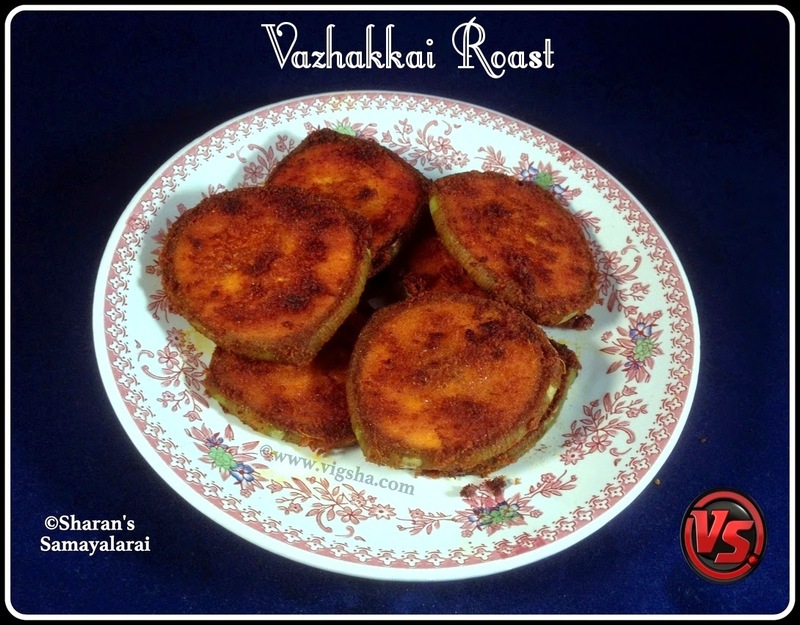 Vazhakkai Roast is crispy and spicy fry which can be served as an appetizer as well as with variety-rice varieties. This is simple to prepare, yet makes a rich and delicious accompaniment. 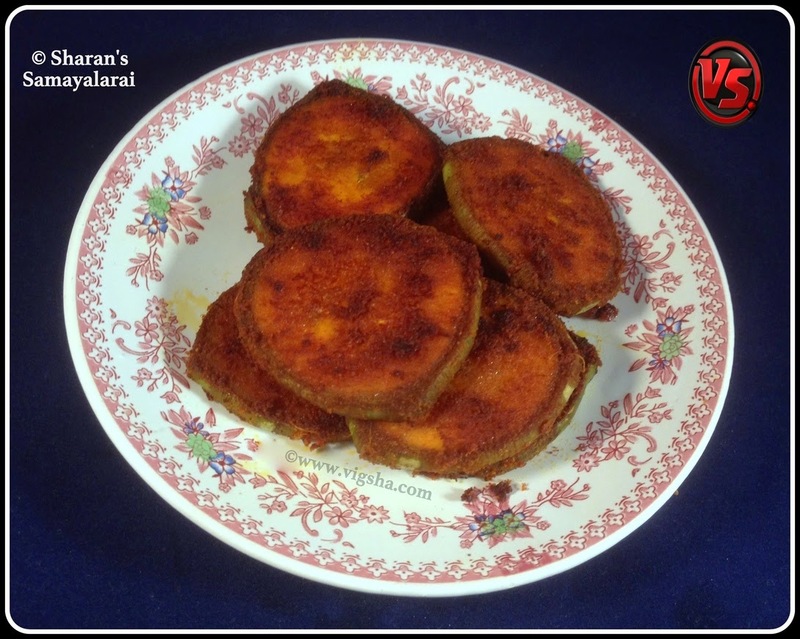 Plantain slices are marinated in spice masala and shallow fried till it turns crispy. This is my Mother-in-law's recipe and its one of my favorites. 1). Wash the plantain and slightly peel the skin. Cut them into thin round slices. 2). Prepare the marinade by mixing Sambar powder, salt and turmeric powder with oil and combine well. 3). Coat the sliced plantain pieces one by one in the marinade. Make sure that the spices are well coated on the pieces. Marinate for about 10-30 minutes. 4). Heat Oil in a pan for shallow frying, add the marinated plantain pieces and fry in a medium flame. The plantain should be crispy from outside and soft inside. Cook till both sides turns crispy golden brown . Remove and drain it on a paper towel. Done ! Serve hot ! I served it with Kovakkai Arachuvitta Sambar and Peerkangai Kootu. #You can use chilli powder for marination. But sambar powder makes it flavorful. # Marinate the plantain slices for a minimum 30 minutes or over-night. So that raw-plantain gets infused in the masala.